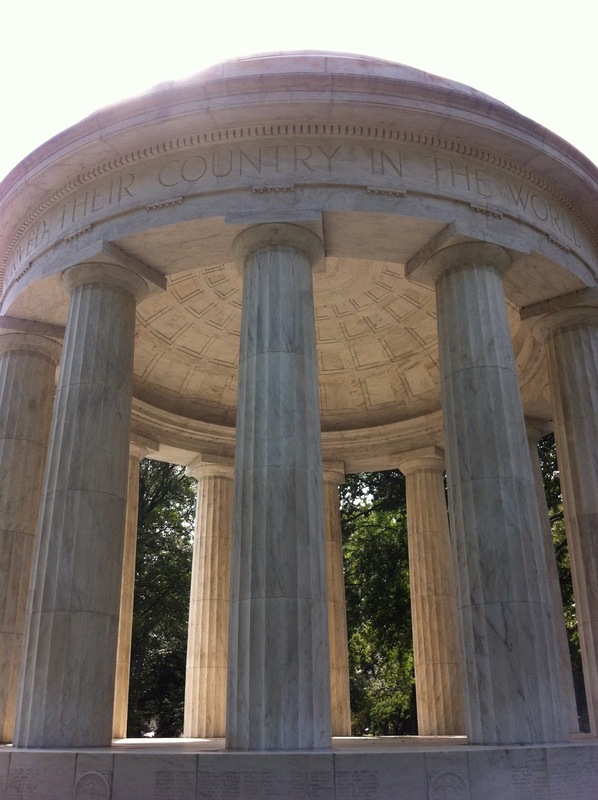 Lissa Bryan: World War I: No National Monument for the "Forgotten War"
World War I: No National Monument for the "Forgotten War"
I was in Washington, D.C. this weekend and I stopped to visit the only World War I memorial in our nation's capital. 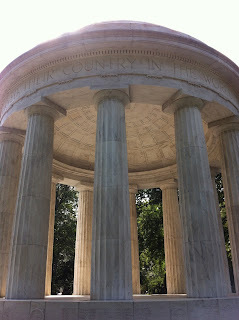 There is no national memorial for WWI on the Mall, only a small memorial to those from the DC area who served in the Great War tucked back in a grove of trees off the side of the Mall. Most visitors don't know it's there. While I visited, there was only one small group there, a mother resting in the shade with her two children. It's not easy to find. The signposts which guide visitors from monument to monument along the Mall don't mention it. 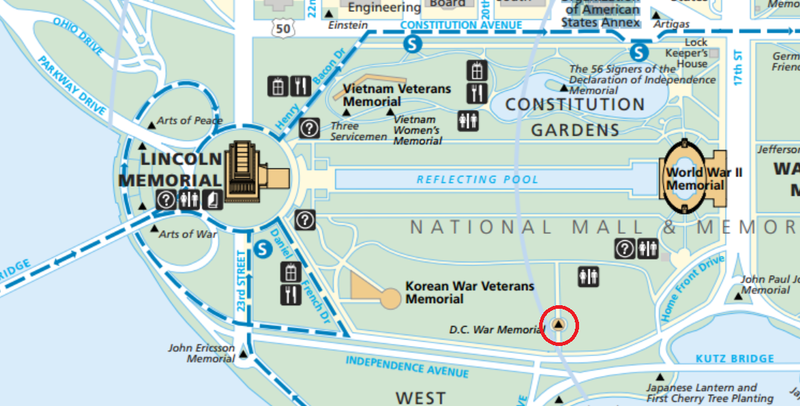 It's marked on the National Park Service map as the "DC War Memorial." It's a little less than half way between the World War II Memorial and the Lincoln Memorial, on the left side. If you walk to the snack stand/restrooms, you'll see it to the right. No sidewalk leads to it, only a thin, dirt path worn through the trees. The monument was erected in the 1931 to honor those from Washington, D.C. who served in the Great War. 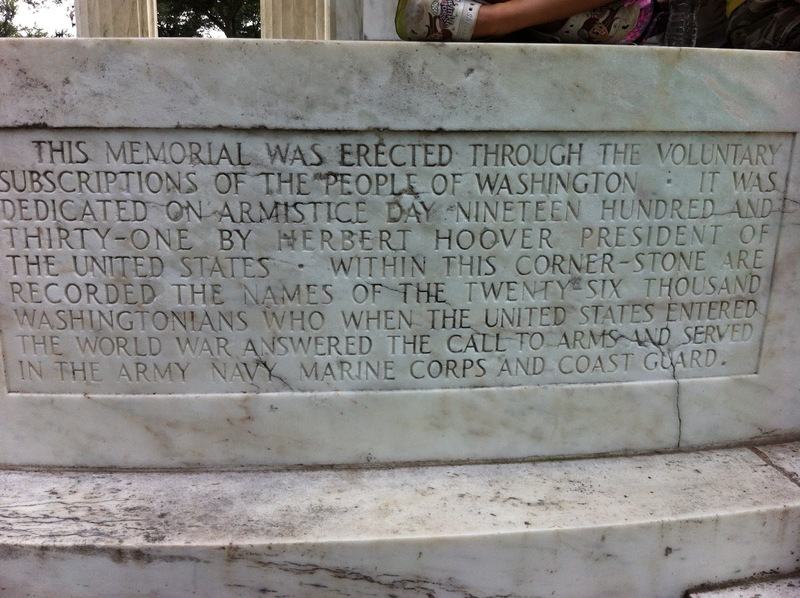 It was the first monument on the Mall to include the names of African-Americans, and women who served. 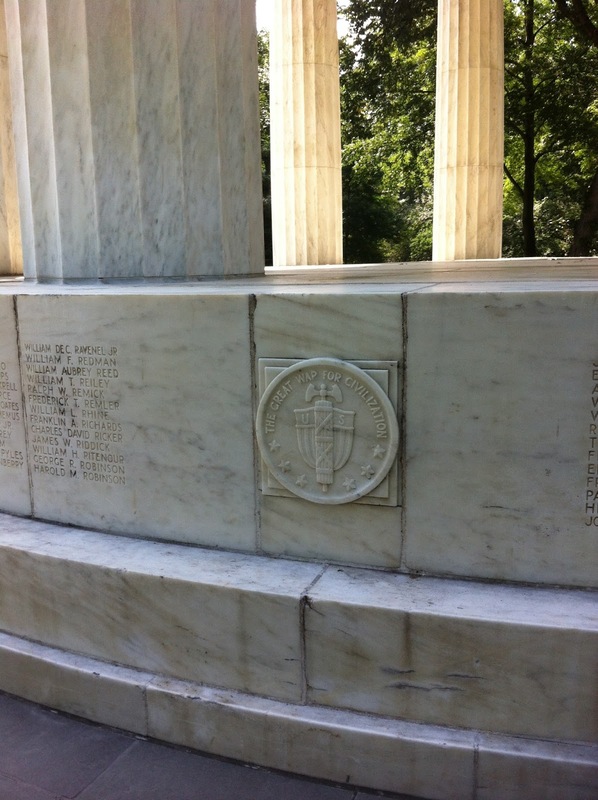 The memorial… will stand through the years as the expression of a city’s pride in the men who fought in its behalf. "While contribution from school children usually are discouraged, it is pointed out by school officials that in this case the school children should be acquainted with the purposes of the memorial as a part of their education as future citizens of the nation. In years to come they will remember their participation in a movement which has for its purpose, it was point out, the perpetual commemoration of patriotic men and women who gave their lives for their country." "The Great War for Civilization"
It is a pleasing thought to believe that when many, many years have rolled over the hill and the children of our children pause a moment over the names carved on this memorial they can look about them at the things that men have sought to do and say, "They built well." It was designed as a bandstand, large enough to hold entire United States Marine Corps Band, and a grove of hardwood and tulip trees were planted around it. It was intended for use as an outdoor concert park, and, indeed, it fulfilled that purpose for a while until such outings faded in popularity, and the memorial drifted into obscurity. 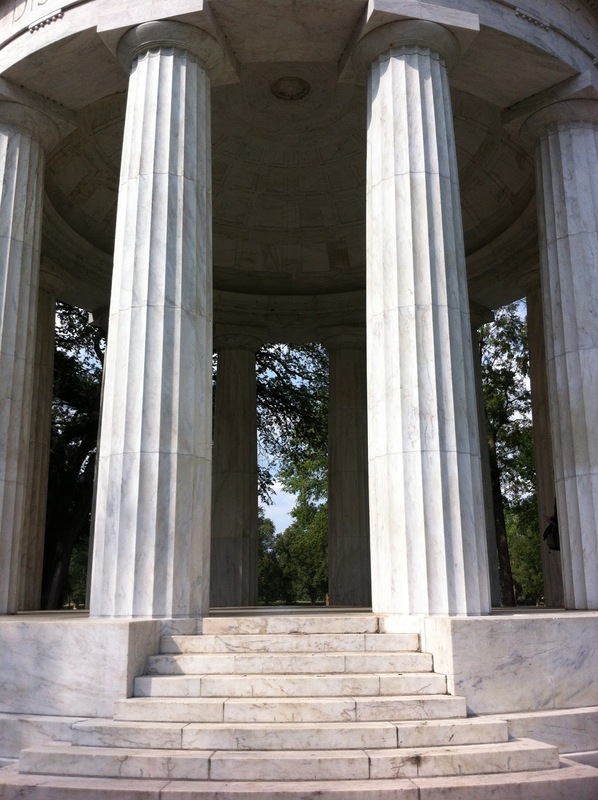 By 2003, the monument had fallen into such disrepair that it was listed on the Most Endangered Places list by the DC Preservation League. The marble was cracked and stained, in danger of crumbling. However, the Park Service and the feds disagreed on who should be responsible for its maintenance. It wasn't until the 2011 Stimulus Package that the monument got its much-needed restoration. Adding to the urgency was the gentle pressure of Frank Buckles, "Pershing's Last Patriot." Frank was the last surviving Doughboy, and he was advocating for the little rotunda to be declared a national memorial. Sadly, Frank passed away in 2011, having not lived to see a national memorial to the Great War. Like Seth from Ghostwriter, Frank was an ambulance driver during the war, having lied about his age (multiple times) in order to join. He volunteered to drive an ambulance, having been told it was the fastest way to service in France. 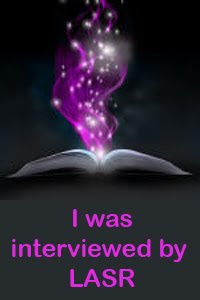 He was out of the combat in that capacity, but, as he said, "I saw the results." He said the worst thing he saw was the starving French children, which he and his compatriots would try to feed. Frank was identified in 2008 after a soldier who'd been in training during the Great War passed away. 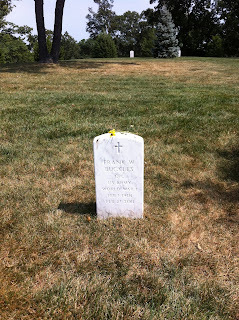 The VA tentatively identified Frank as the last living American WWI veteran. 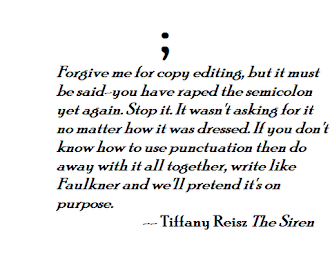 When I say "tentatively," I mean that no one was really certain. The veterans records for WWI are incomplete. No one knows exactly how many people from the US served in the war. "Nobody—not the Department of Veterans Affairs, or the Veterans of Foreign Wars or the American Legion—knew how many there were," says Richard Rubin, author of the forthcoming book The Last of the Doughboys. As far as he could tell, "that chapter of history was closed." However, as Congressman Ted Poe put it in the Frank Buckles Memorial Act: "More soldiers died during World War I than in Korea, Vietnam, both Iraq Wars and Afghanistan combined." 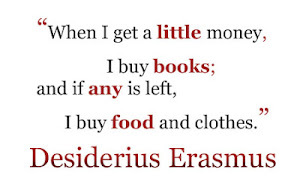 We're just not sure of the exact number. But, as far as they could determine, Frank was the last one, and once he became publicized, no one came forward to claim they, too, had served in the war. Frank was 107 when he became Pershing's Last Patriot. He had a sense of humor about his status as the last of the Doughboys. "I knew there'd be only one someday," he said in an interview. "I didn't think it would be me." He once quipped his secret to his incredible longevity was this: "When you think you're dying, don't." We still do not have a national memorial in Washington, D.C. to honor the Americans who sacrificed with their lives during World War I. On this eve of Veterans Day, I call upon the American people and the world to help me in asking our elected officials to pass the law for a memorial to World War I in our nation's capital. These are difficult times, and we are not asking for anything elaborate. What is fitting and right is a memorial that can take its place among those commemorating the other great conflicts of the past century. 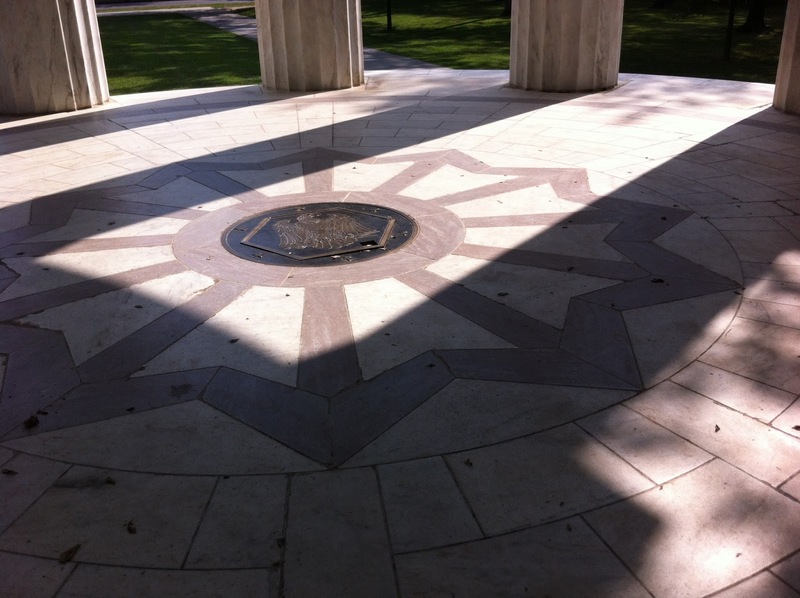 On this 92nd anniversary of the armistice, it is time to move forward with honor, gratitude, and resolve. But Frank died before he could see his final wish come to fruition: a national monument to his fellow Doughboys. The Frank Buckles Memorial Act was shuffled back to committee on January 24, 2013, and there it sits, unlikely to go further. In April, 2014 it was announced that a plan had been developed to create a national WWI memorial at Pershing Park. 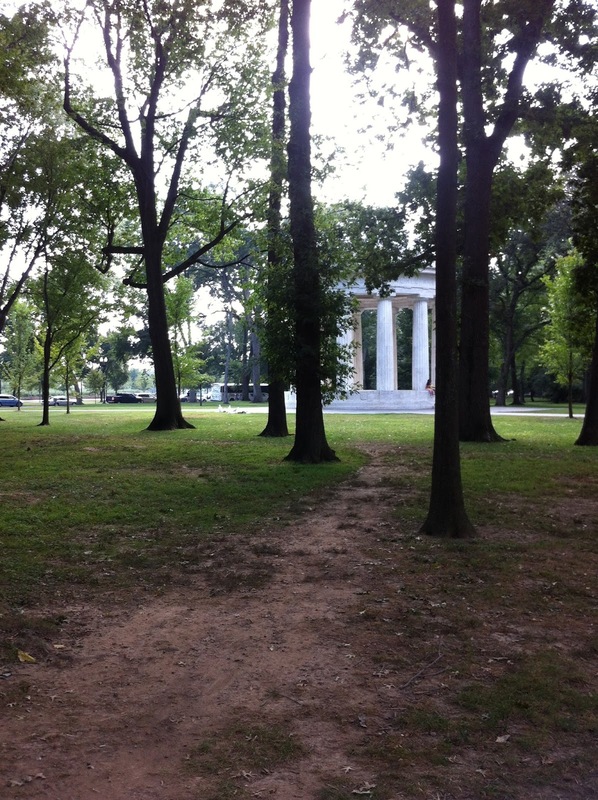 Supporters of the DC War Memorial didn't want the site co-opted for a national memorial, and so it was decided to retrofit a site in the park as the nation's WWI memorial. If the plan goes forward, ten million dollars in privately donated funds will be used for the project. 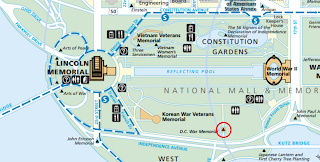 The plan is criticized by many because the site is not on the National Mall with the other war memorials, but is instead up near the White House, a fair distance away. It's on the map to the right, circled in red. Organizers are hoping to dedicate the memorial in 2018, to commemorate the centennial of Armistice Day. While I'm happy it would finally have a memorial, it seems regrettable it will be tucked away on a site that will not get many visitors and The Great War be left out of its rightful place among the nation's other wars. He rests near the crest of the hill, not far from "Black" Jack Pershing, whose stone can be seen behind Frank's in the picture. At first, I wished he had a grander monument, after I thought about it, the simple, unassuming stone is more befitting of the simple, unassuming man Frank was. It was not for himself he sought a memorial, but for all of those vanished Doughboys, the fallen and survivors of the Forgotten War. I enjoyed visiting this monument when I visited in May. I'm amazed how many monuments there are, how different each is from the next and how the messages inscribed upon them reflect their era of construction. Thanks for writing such an informative post. I enjoyed it.